Frankfurt is a deceptively diverse city. The well-preserved, historic buildings of the Altstadt (especially the central Römerberg square) lie moments from the modern skyscrapers of the Innenstadt and famous financial centre. Knowing where to go in your down time, and especially where the main shopping areas are, is important if you want to make the most of a flying visit. Whether you’re after a gift or simply some everyday necessities, Frankfurt shopping is as varied as the city itself. Here are some of the best spots in the city. Skyline Plaza is one of the more modern of Frankfurt’s shopping malls. 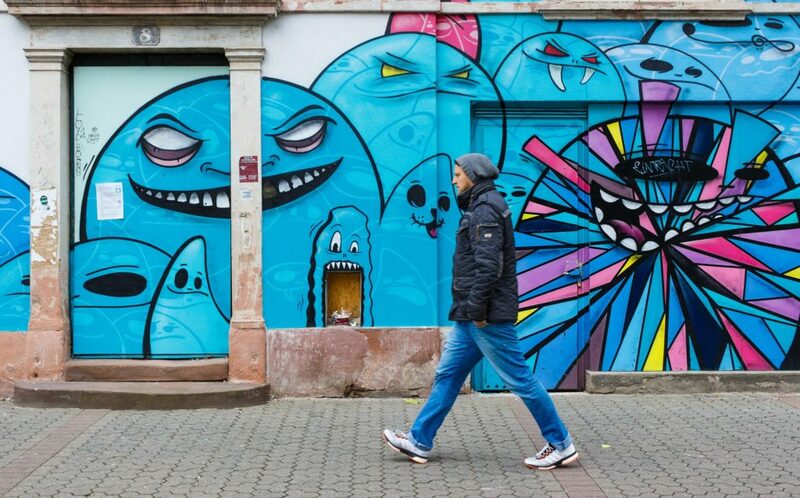 Behind the colourful façade you’ll find almost 200 shops and places to eat. You’ll recognise stores like H&M, O2 and Foot Locker, and there are plenty of well-known German brands here too, like Gerry Weber. Pause for a while to enjoy the view from the Skyline Garden on the roof. You can also stop for lunch at the food court, where there are dozens of international food stands at very reasonable prices – great for a quick and tasty bite. Skyline Plaza is one of the largest Frankfurt shopping malls, which makes it perfect if you’re looking to grab something quickly – like last-minute toiletries or a T-shirt. If you’re visiting for one of the city’s trade fairs, you’ll be a stone’s throw away, and there’s excellent transport links so it’s easy to reach other areas of the city. If you’re looking for the most luxurious Frankfurt shopping experience, then Goethestrasse is the place to go. Here, you’ll find all the most prestigious Frankfurt outlets, with international luxury brands taking centre stage. Prada, Versace and Tiffany & Co. all have beautiful boutiques to browse in regardless of your intent to buy, and are perfect if you’re looking for an extra special gift for a loved one. Located in the Opera Quarter, which is filled with historic architecture, this street also makes a good spot for a working lunch or dinner. There’s everything from spicy Spanish food to tempting dim sum to choose from. It’s all close to the financial district, so moments away if you’re in the centre on business. There are good transport links too, so reaching your hotel or office is simple. Street art on Berger Strasse. Photo by Andre Douque. Most people will tell you that Zeil is the main shopping centre in Frankfurt, and they’d be right. 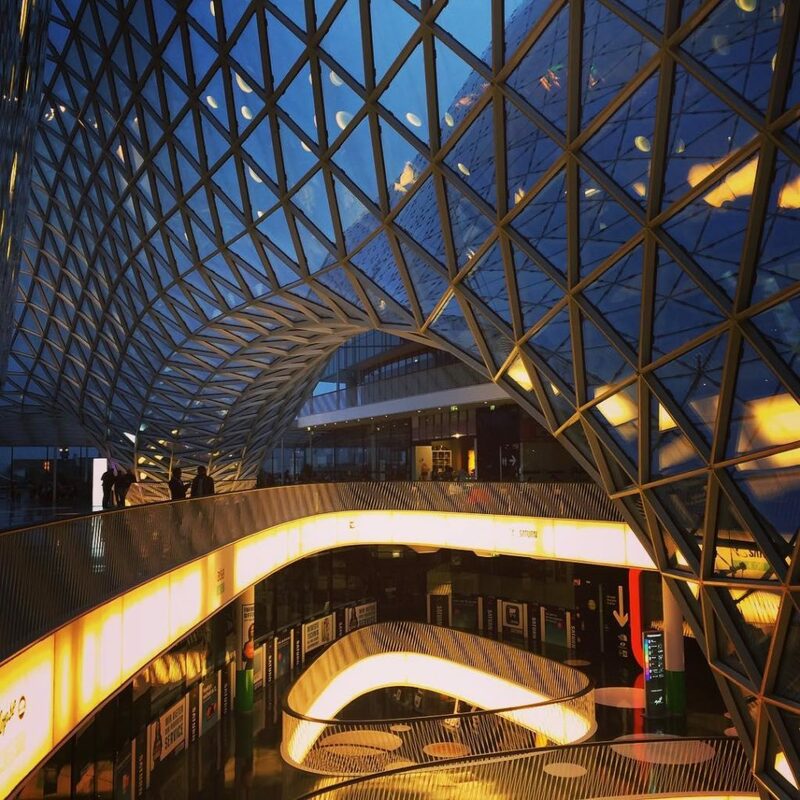 While you will find plenty of recognisable shops there, and MyZeil shopping centre is a stunningly slick complex, it’s also the most crowded. However, Berger Strasse has an appealing mix of independent shops and cafés, and is much quieter. As the longest shopping street in the city, it offers more choice than some of the other Frankfurt shopping options, with several distinct sections. Some stretches are lined with small cafés and restaurants, great for lunch, and if you’ve got the time take a stroll to nearby Bethmann Park. The street is also extremely convenient to reach, as it cuts straight through the city centre, as well as the lively neighbourhoods of Nordend and Bornheim.